The long awaited National Procurement Guidelines are expected to be presented to Cabinet after being updated by the Finance Ministry, possibly by this week, a top official said. 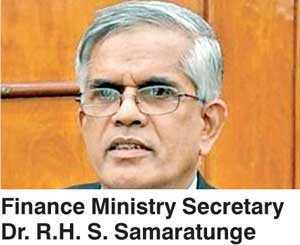 Finance Ministry Secretary Dr. R.H. S. Samaratunge noted that the guidelines had to be updated despite already being gazetted in May, as they had to incorporate changes that had taken place at Cabinet level over the last three months. “Observations made by the Finance Ministry will be incorporated into the guidelines, and it will be presented to Cabinet afterwards. I expect the responses to be made about this week,” he said. Following the update, the guidelines will likely be gazetted again, he added. The National Procurement Guidelines were formulated by the National Procurement Commission, after nearly three years of exhaustive consultations. During the formulation process, two drafts of the guidelines were presented for stakeholder feedback, including from ministries such as the Finance Ministry. The completed guidelines were presented to the Presidential Secretariat earlier this year. However, when the final report was presented to Cabinet, it had been set aside,as the Finance Ministry had wanted additional time for observations. “We are dedicated to being completely transparent in this process and we are open to engaging with all stakeholders,” National Procurement Commission Chairman Nihal Wickramasuriya toldDaily FT. The guidelines were gazetted on 9 May and are available on the Commission website for public perusal. The new guidelines have been upgraded from the previous regulations, introduced 12 years ago, and include several progressive measures, including a framework agreement, new information systems, and provisions for the Government to implement an electronic procurement system. The new guidelines also infuse value engineering processes as practised in developed countries, which enable the Government to reduce cost overruns in crucial infrastructure projects.Commission members estimate that value engineering could save the Government a minimum of 10% on all construction-related contracts. The guidelines also include technical auditing of tenders, andgive powers to the National Procurement Commission to vet officials appointed to tender boards. If suppliers highlight conflict of interest on an appointment, the Commission would also have the opportunity to raise this with other Government parties, such as the Attorney General. Tender documents will also be shared, so that other ministries and State departments can observe the tender process. To ensure high levels of transparency once the new procurement guidelines become law, bidders will be given a comprehensive debrief three days after a tender is closed. Aggrieved parties can present themselves before the procurement appeal board six days after a decision is made, and if they are unsatisfied with the response, can appeal to the Supreme Court. After the tender is awarded, any member of the public can obtain the full tender evaluation committee report.